Spencer passed his ARDS in January 1996 at Brands with over 90% (no competition then between brothers!) 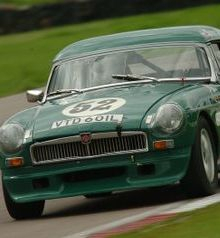 and had an arrangement to share Russells MGB during the Season where possible, but he would be racing in the Flemings Thoroughbred and Classic Series which was a similar type of Championship to the BCV8 Championship in that there were four classes of Standard, Road Modified, and fully Modified cars with varying sizes of engines. Spencer entered Class A and did well proving he could drive and handle the car and came mid field most of the Season. 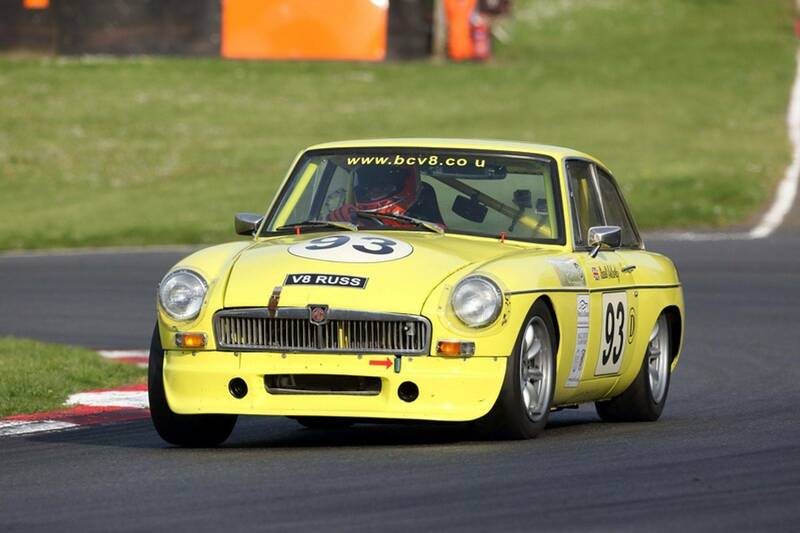 Over the winter of 1996/97 and again with the help of Dad Roy, another Standard MGB was produced and March 1997 saw Spencer also on the grid at Silverstone in the A class of the BCV8 Championship. The A class had developed some serious drivers and a regular pack of ten similarly produced MGBs’ gave quite a spectacle as they all went for the same spot on the track at the same time. The Season closed with Spencer finishing 6th in the class but at the last round at Donington he managed his first class pole but came second to his brother Russell over the line. 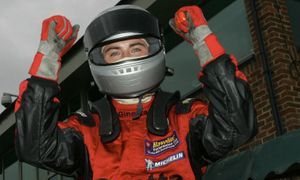 1998 – This was Spencer’s year – from the first round at Silverstone in March he got pole in practice and gained fastest lap and class win in the race. He did this for the first eight races and by half way through the Season was virtually unbeatable. He finished the Season with maximum point’s possible, youngest driver at 21 in the 21st Season of the Championship and got a reasonable amount of press and commentary throughout the year. 1999 The Family decided to spend the Winter modifying the A class cars to B class cars, moving up to a more hairy 1950cc, 175 brake engine, with lowered suspension and bigger wheels and stickier tyres. First time out in the car, no testing possible as the the first race was Silverstone 6th March, Russell won the class Spencer came in second just inches behind. The Season went on with both Spencer and Russell at the front of the B class taking turns to be there and by the last round at Donington there was only a few points between them and the winner would take the Overall class, Spencer won by half a car length and 2 points and took the honours. In 2000 the Championship was joined by a youngster called Rob Huff and from his first meeting both Russell and Spencer knew there would be competition. By the end of the Season Spencer had managed to win the class, Russell had been unlucky with a few mechanical problems and another enthusiastic driver Peter Samuels had stepped up his game and came home second with Rob Huff third. 2001 saw a similar season of racing with this time Russell taking the class honours and Spencer second and Rob Huff third. 2002 Rob took the class honours and both Spencer and Russell had mechanical problems for a lot of the Season. By 2005 Rob had moved on to the Seat Championship leaving Spencer and Russell to wonder what to do with the rest of their racing life, Russell won the class Spencer came second and Peter Samuels third. Spencer decided to do something else so he got married to Louise in September 2006 bought a house, started his own business and decided to have some time off. 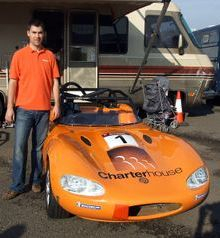 For 2007 he purchased a Ginetta G20 and joined a higher profile championship the Ginetta Senior Championship. He struggled all year, he had the pace, was up close at the front but something was wrong, he lacked power and as it was a one make controlled engine series he could do nothing about it. He could not keep up with the rest of the pack on the straights and despite complaining to the Series Organisers was told that everything was OK. In desperation he broke the seals and had a peek inside his engine and discovered that he had not been supplied with the correct engine and on complaining was given a new engine just as the season came to a close. Just as the season came to a close though he became a dad and little Mae Ling Isabella McCarthy arrived. He started 2008 with the right car, the right engine, the right attitude and went out and won the Championship Outright. 2009 he had a sabbatical apart from a few races with Peter Garton's Mallock which he enjoyed and will race the Mallock again in 2010 maybe speckled with a few MG races in between if he can sort out his MGB. May 2010 with three rounds of the Clubmans Classic under his belt he is leading the Championship. Now into September and a good Season puts him on top of the Leader Board and he can't be beaten in the Overall Points Table so it looks like he has taken the Overall Championship Classic Clubmans Title in 2010. 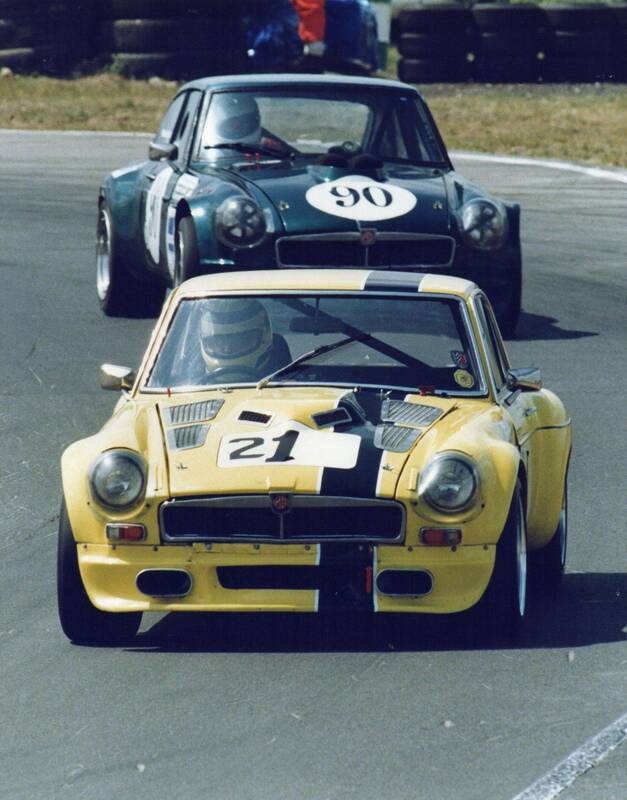 One more trip out on 2nd October to Snetterton to race his Dads V8 for the last MGCC round of the Season. He managed to put the little V8 right up front, winning one round of the BCV8 Championship race and coming second in the other and also winning the last round of the Thoroughbred Sportscar Championship. 'For my Dad' he said. Roy passed away five days later. 2011 by February the Season began with a new arrival when Lai Yee Jasmine arrived to brighten all our lives and lift us out of the misery that had engulfed us. Spencer decided he would come out only a few times in 2011 but he would race at the special races in Roys other yellow cars. The yellow MGB Roadster that had been parked away also back in the early 2000's needed an engine, gearbox and a complete make over, that he completed by June to take the car to Silverstone for the MG Car Clubs flagship meeting and by the end of July he had both the MGB and the MGBGT V8 entered in the Memorial Race at Thruxton for his Dad. The Thruxton meeting was a great meeting and a true tribute to the memory of his Dad. Both Spencer and Russell gave a good show in the Thoroughbred Sportscar Race when they came home first and second after a great race long battle, Russell in the lead as they crossed the line by just .02 of a second. 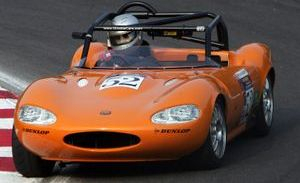 2012 saw Spencer out racing again with the Classic Clubman in the Mallock which has now been converted to a Full Race Class A car. During the Season the BCV8 and Thoroughbred championships were also raced in using the V8 that his dad had championed for many years.